Although music-making is associated with enhanced wellbeing in several contexts – for example, everyday, community, clinical, and educational settings – at the professional level making music is frequently considered a threat to wellbeing. Professional musicians often experience performance-related injuries, musculoskeletal pain during performance, and psychological demands (e.g. performance anxiety, general stress, mental fatigue). In a recently published study, a team of researchers used a positive psychology perspective to investigate professional musicians’ wellbeing using the PERMA framework as a guide. PERMA is a now-popular wellbeing model comprised of five elements: Positive emotion; Engagement; (positive) Relationships; Meaning; and Accomplishment. Martin Seligman, the author of the PERMA model, suggests that all five of these elements contribute to overall wellbeing, they can be measured independently, and are pursued for their own sake. The researchers, Sara Ascenso, Aaron Williamon, and Rosie Perkins used a qualitative research approach, conducting two separate, in-person interviews with a total of six professional musicians (3 men and 3 women). The musicians were aged between 32 and 52 years and were employed full-time as performers, with one musician coming from each of the following Western classical music traditions: solo, orchestral, choral, chamber, conducting, and composing. Overall, the results indicate high levels of wellbeing for the musician participants, with elements of PERMA all represented. Having a clear sense of self emerged as an important, overarching supporter of wellbeing, while the experience of transitioning to professional life was the most challenging to musicians’ flourishing. 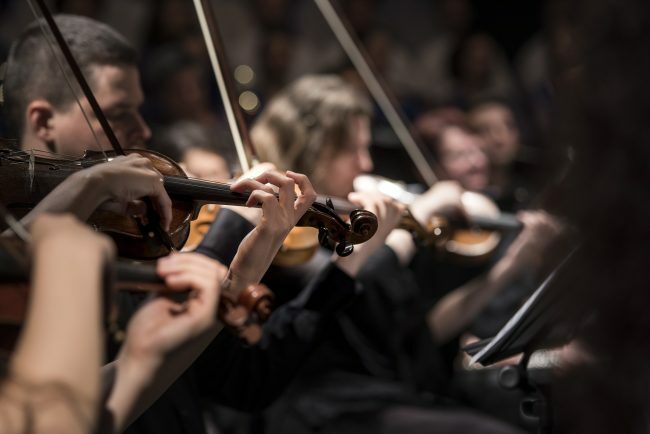 Research such as this offers groundwork for the development of music education programs and interventions which would focus on the whole individual, not just the technical performance aspects of professional musicians. Ascenso, S., Williamon, A., & Perkins, R. (2017). Understanding the wellbeing of professional musicians through the lens of Positive Psychology. Psychology of Music, 45(1), 65-81. Seligman, M. (2011). Flourish. A visionary new understanding of happiness and well-being. North Sydney: William Heinemann Random House Australia Pty Ltd.